In 1940, just four years after Inge Lehmann discovered the Earth's inner core , Harvard Professor Francis Birch thought fluid core was in the process of freezing, with the inner core having already frozen solid and having a composition more or less like the fluid core, a nickel-iron alloy . Later, geophysicists found that the density of Earth's fluid core was too little to consist solely of nickel-iron metal. There must be one or more light elements as well in the fluid core. In the 1970s, while many geoscientists were studying Moon rocks, J. Marvin Herndon, pictured at left, investigated the rare group of meteorites, called enstatite chondrites, that Francis Birch had ignored. Herndon discovered that two observations made in the 1960s admitted a different possibility for the composition of the inner core. The metal of ordinary chondrites consists mainly of iron (Fe) and nickel (Ni). But in the 1960s, an additional element, silicon (Si), was found in the metal of enstatite chondrites. Also, in the 1960s, a new mineral was discovered in enstatite chondrites, the intermetallic compound nickel silicide, which consists mainly of nickel and silicon, Ni2Si. Making sense of those observations, J. Marvin Herndon realized that if the Earth's core originally contained dissolved elemental silicon, upon cooling nickel silicide would precipitate out and settle to the center. Moreover, he realized that the abundance of nickel was such that under appropriate conditions fully-crystallized nickel silicide would have a mass quite similar to that of the Earth's inner core. In 1979, Herndon published that concept in the Proceedings of the Royal Society of London in an article entitled "The nickel silicide inner core of the Earth" . (click here for pdf). 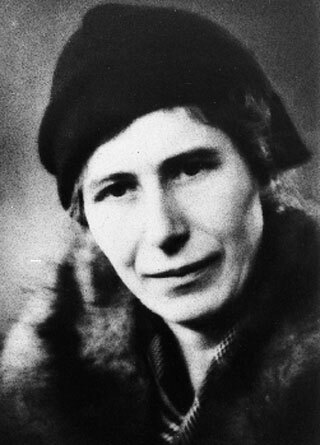 When that paper was accepted for publication, and before he changed the title slightly, Herndon sent a copy to Inge Lehmann, pictured at left, the discoverer of the Earth's inner core. A copy of her congratulatory response is shown at right. 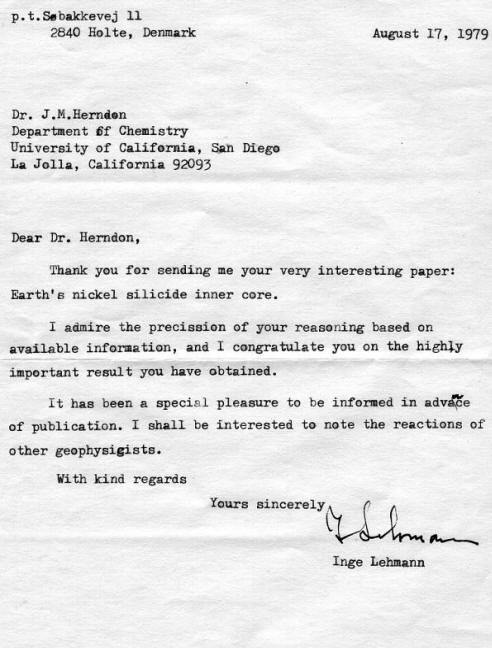 Note Lehmann's last sentence: "I shall be interested to note the reactions of other geophysicists." 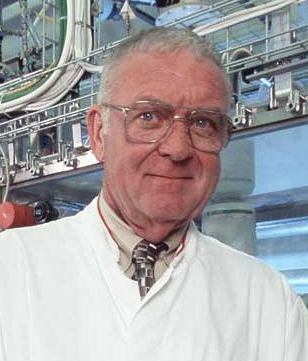 When the paper first published, Herndon thought that there would be discussion and debate among geophysicists and he worried that some with well-funded high-pressure laboratories would take the idea and run with it, perhaps leaving him "in the dust". Instead, geophysicists pretended that the paper had never published and continued spending government-supplied funds on the Birchian idea. For example, to date no one has yet determined which of the possible nickel silicide compositions are stable at inner-core pressures or what are their electrical and thermal properties. So, why might that be? In 1951, the National Science Foundation was established and officials there quickly invented the concept of secret peer-review. One consequence is that it gave advantage to those unscrupulous individuals who would in secret unjustly berate their competitors proposals for funding. Another consequence is that individuals who wanted to keep their funding became afraid to acknowledge new concepts, which might contradict others, and which might call attention to themselves, becoming targets of the unscrupulous acting in secret. That strategy preserved funding and careers, but at the expense of science, leaving the way clear for J. Marvin Herndon to make one fundamental discovery after another. Note the word "Discovery" in the title of this web-page. Some might question the use of that word as Herndon only a new idea, a new concept derived logically from fundamental considerations. The use of "Discovery" is justified on the basis of subsequent discoveries, beginning in 1980, which show that the internal parts of the Earth are precisely like those of an enstatite chondrite meteorite, and unlike those of an ordinary chondrite [4-9]. Lehmann, I., P'. Publ. Int. Geod. Geophys. Union, Assoc. Seismol., Ser. A, Trav. Sci., 1936, 14, 87-115. 2. Birch, F., The transformation of iron at high pressures, and the problem of the Earth's magnetism. American Journal of Science, 1940, 238, 192-211. 5. Herndon, J. M., The object at the centre of the Earth. Naturwissenschaften, 1982, 69, 34-37. 8. Herndon, J. M., Composition of the deep interior of the Earth: Divergent geophysical development with fundamentally different geophysical implications. Physics of the Earth and Planetary Interiors, 1998, 105, 1-4.